Kevin Mack and Earnest Byner. Photo: Cleveland Browns. OMG I TOUCHED EARNEST BYNER'S SUPER BOWL RING!!! Ahem...sorry, I'll get to that in a second. Twitter is a wonderful thing. It can help you stay connected, promote your business and if you are lucky - meet football legends. A couple of weeks ago, I found myself in a Twitter conversation with Browns great, Earnest Byner. 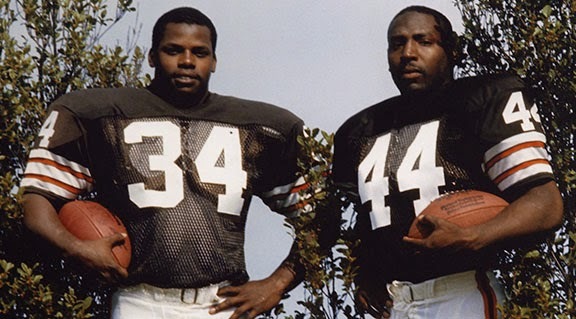 Byner is one of the all time Browns greats and with teammate Kevin Mack, they were only the third set of team mates in NFL history to rush for 1,000 yards. The conversation was about pierogies. One thing led to another and the next thing I knew, I was with a couple of friends, meeting Earnest Byner and his wife for pierogies at Market Garden Brewery in Ohio City. 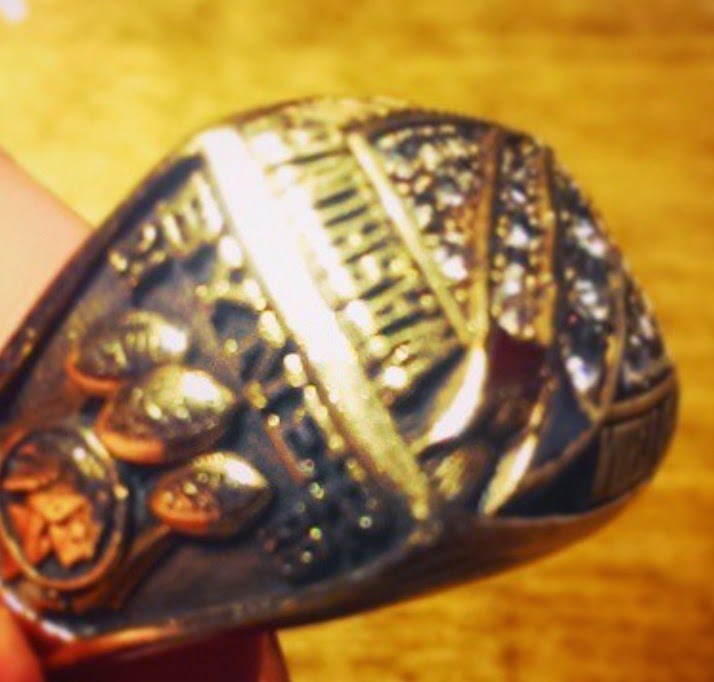 Earnest Byner's SuperBowl ring from his time with the Redskins. If you are of a certain age, you remember Byner, Mack, Dixon, Kosar and company and the electricity shooting through the fans that can only be brought about by winning. This may account for why Browns fans can be a bit fanatical about Byner. A Facebook question for Earnest. I can tell you that Byner and his wife were everything you would hope for them to be. They were friendly, patient, and all around awesome people. Kevin Mack and Earnest Byner. Then, as if things couldn't be more awesome, Kevin Mack dropped by. 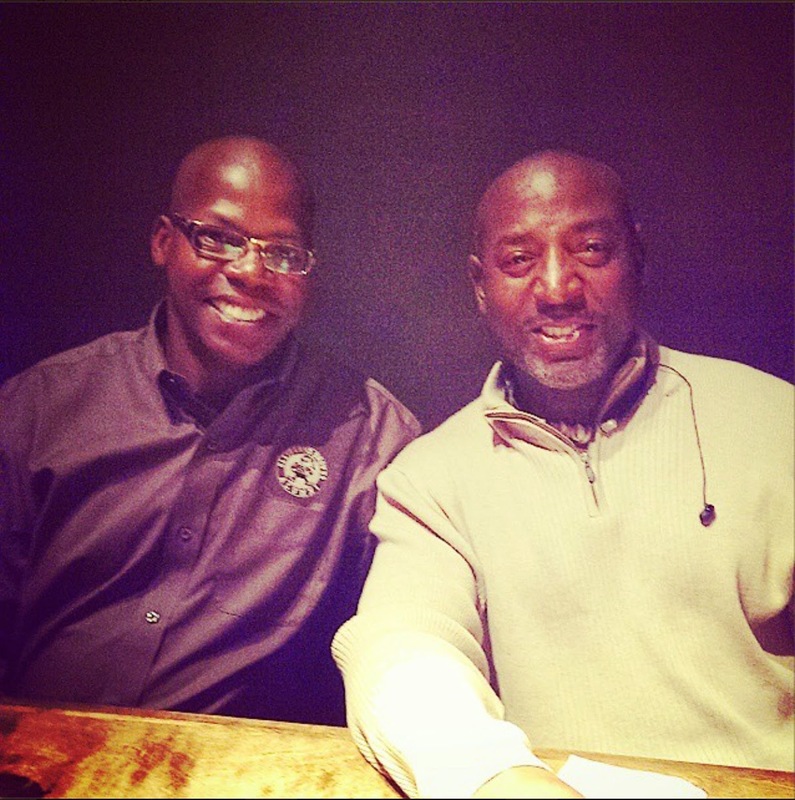 As the night wrapped up, as a testament to how much Browns fans think of Byner, at the end of our meal, our server at Market Garden told Byner what he means to Browns fans and there was a guy that waited I don't know how long outside the restaurant for him. I can't thank Earnest Byner enough for being so cool...all I can say is next time, the pierogies are on me.